Gov. Jay Inslee should hold to the political deal necessary to get a $16.2 billion transportation package, and not unilaterally impose a low-carbon fuel standard. At issue is what Inslee calls the “poison pill” provision in the transportation package. It limits the governor’s executive power to impose a low-carbon fuel standard, which would mandate a higher portion of biofuel in gasoline to reduce carbon emissions. According to analysis released by the governor’s staff, it could raise gas prices by 12 cents a gallon over the decade, but alternative analyses suggest the increase could be much more. Remember, this would be on top of the 11.9-cent increase to fund the package. As part of those tough negotiations among lawmakers, the Republican majority in the state Senate — concerned about the double whammy on citizens — demanded a provision that would divert non-highway project investments into a road-building account if Inslee imposes the low-carbon fuel standard before 2023. Inslee signed the package recognizing that the state needs a better transportation system. It was the right decision. Those multimodal investments are significant. 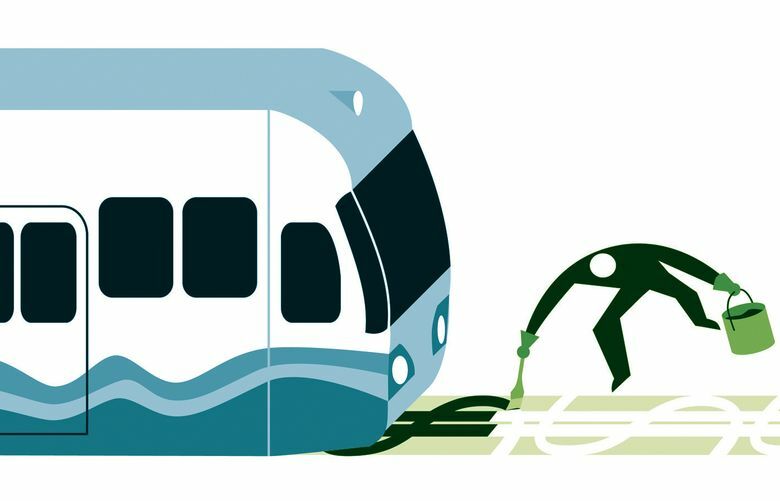 They include $164 million in grants for public transit, $112 million for rail projects, $102 million to make walking and biking routes safer, and funding for specific non-highway projects, such as a pedestrian bridge over Interstate 5 at Northgate. Inslee’s office suggests that if he does impose the low-carbon fuel standard, the transit-bike-pedestrian money eventually could be clawed back. That is a political fantasy, based on history of the negotiations. More likely, Inslee would be handing the road-building interests a big pot of money. Advocates for transit and bike programs are howling, rightly. Inslee should instead hew to the deal and work in the next legislative session to advance his carbon-reduction agenda. He would retain the right to tell voters next year, when he likely will run for re-election, that he helped broker the deal and kept Washington moving. If he goes ahead with the low-carbon fuel standard, he would undermine the carbon-emission reductions in the transportation package gained by getting people out of their cars. He would make meaningless all the hard-won compromises negotiated by his fellow Democrats. And he would cement the notion that he is more focused on his own climate change agenda than on leading the state.